In the third century AD the Roman Empire was in a bit of mess. A bad year came in 260 when the Emperor Valerian died in Persian captivity after a period of war in what is now Iraq. The empire effectively split into three and there were numerous mini-crises. By 274, the Emperor Aurelian was determined to shore up stability, with a reform of the silver coinage high on his manifesto. Sadly, says Dominic Rathbone, professor of ancient history at King’s College London, the result was chronic inflation. In effect, people were receiving their incomes in old debased coins, but were being asked to pay their taxes in the new improved coinage, a major change. While those who had their money in silver and gold bullion could remain relatively immune to the inflation, anyone in the empire who dealt in mere bronze or silver coinage suffered badly. Soldiers were among those worst affected. And at the time, the mechanics of economics would not have been understood by many. Often a moral aspect would be factored into equations. 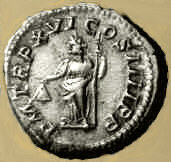 The problems dissipated under the Emperor Diocletian but were not finally resolved until the issue of the gold “solidus” coin under the Emperor Constantine in the fourth century. The lesson learned was that coinage was something that had to be handled very carefully for the sake of the whole empire. “Fundamentally it was the government stopping messing about with the coinage,” says Prof Rathbone. You can keep your silver, and gold, and copper, and bronze safely stowed aboard Travel Dynamics International’s voyage from Rome to Greece — all excursions are included.